Pick up from the airport at your arrival time and transfer to the Riad that´s in the medina, the Historical center of the city of Marrakech, two minutes walk from the famous square Jamaa El Fna. In the afternoon the best option is to explore the medina on your own, approaching the square that in the evening is full of narrators, jugglers, diviners. snake charmers, dancers, tooth removers and so on. Overnight in Riad. 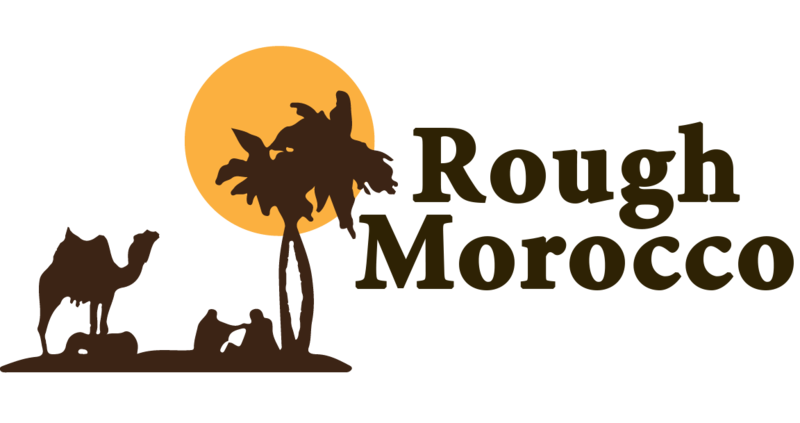 Pick up at 8.30 in the morning in a private 4×4 vehicle, and depart to Ouarzazate going through the High Atlas mountains. In our way, we´ll see Tizi Ntichka port,that. with 2.260m is the highest point in our country. We´ll enjoy beautiful landscapes from the viewpoints on the way and make some stops to take pictures of the berber villages. Then we´ll take a small road that goes to Telouat Kasbah. After visiting the kasbah you´ll have free time to enjoy a typical food in town.In the afternoon we´ll continue through the Ounila valley, where you can see small berber villages and families that live in adobe houses lost in the mountains, to reach the ksar (fortified village) of Ait Ben Haddou where we will visit the famous Kasbah (declared World Heritage Site by UNESCO in 1986). Famous films have been shot in this spectacular stage, including Gladiator , Obelix, The Mummy, The Jewel of the Nile, Sahara with Penélope Cruz…etc. After visiting the kasbah we´ll go to Ouarzazate also known as “The gate of the desert”.Dinner at the hotel where we´ll spend the night. After breakfast we´ll depart towards the Draa Valley where you can see one of the longest rivers in Morocco. On the way we make some stops to take pictures and enjoy the view of the spectacular kasbahs and berber villages that dot the road as well as the beauties of the Draa valley.You´ll have some free time for lunch in Nkob or Alnif, and then, after two hours driving we´ll reach the wonderful Merzouga dunes. “Desert of powdery sand dunes”. We´ll change there our motorized transportation for one of animal traction to go inside the heart of the the desert. When we reach the camp, we accommodate in the tents, that are tents made of camel hair, just like the ones used by nomad families. Dinner and night in the berber tent under a beautiful starry sky. This is a complete Desert day. “Date with the sunrise” If you are In the middle of the desert, it`s absolutely worth getting up early to contemplate the most spectacular sunrise you´ve ever seen at the top of a dune close to the camp and enjoy this landscape that is a gift of nature. After sunrise we return to Merzouga on the camels where a hearty breakfast is waiting for us. Then we`ll skirt the Erg Chebbi, great extension of sandy desert where we can find the Big Dune of Morocco. which has more than 250mts high. We continue then by the road that was formerly used for the “Paris – Dakar” and ends in the mountains that limit with Agelia. Stop at Tissardmin oasis where we can find fossil quarries still present in the area, we continue then by a road where we can see nomad settlements and learn their secrets and manners. The next stop will be at a viewpoint to contemplate the hole Erg Chebbi. We`ll reach then Kamilia Village, originally from Mali, where we´ll take a relaxing cup of tea meanwhile we listen to a concert of the spiritual music of Gnawa.Transfer to your accommodation and free afternoon to enjoy the town or the dunes next to the hotel to see the sunset. Dinner and overnight in the hotel. After breakfast we start our last day to the north through the Tafilalet palm grove, the biggest in the world. You´ll see thousands of palm trees along the 20km of road. This way leads us to the Ziz valley, which river comes down from the high Atlas and feeds the palm grove. Here we make a stop and from this high viewpoint, enjoy a magnificent view of the valley and the town of Aoufous. Breakfast in your riad, and then start an explorative journey of the Medina where you will visit the many hidden treasures that only the inhabitants of the place know about. Fes served as the capital of Morocco for more than 350 years and is home to the University of Al Karaouine, the oldest operating university in the world. Your guided tour will take you to Moulay Idriss mausoleum, the Nejjarine Fountains and the Tanneries. After lunch you will also view the exterior of the Royal Palace and walk through the famous Jewish quarter “the Mellah”, where you will have the option to visit one of the few living synagogues in Morocco. Your tour of Fes includes a short visit to the famous ceramic factory, and then you can enjoy a wonderful panoramic view over the whole Medina of Fes.Overnight accommodation at your riad. In the morning visit to the Medina at Marrakech with a local guide. We`ll start admiring the great wall bordering the Medina, the Koutoubia Minaret, this tower is the twin of the one in the Giralda in Seville. Then we`ll visit the Saadines Tomb, Bahia Palace, Majorelle Gardens…etc reaching finally the square Jamaa El Fna where the background is completely different from the night. In the evening free time to practice your haggling art in the souk or discover hidden places at the Medina. Accommodation at the riad. Breakfast and free time in the morning till the time of departure. Transfer to the airport where we`ll help you with your luggage and show you the boarding door.